On November 20, 2018, William Edward Sutphin, 87, of Glen Burnie, Maryland, passed away at his home. William was born in Baltimore, Maryland to the late Mary Frances and Edward "Buster" Sutphin. He worked as a stableman for his uncle prior to entering the service. He then served his country proudly in the United States Army from 1952-1954 achieving the rank of Corporal. Stationed in the Philippines during the Korean Conflict, William delivered soldiers and equipment between the islands. Upon returning to the United States, he became a Journeyman Inside Wireman electrician for the Local IBEW #24 for 40 years. William was member of the Glen Burnie Moose Lodge and he loved taking care of his wife and family and watching horses at Pimlico. 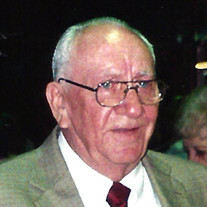 William is survived by his devoted wife of 66 years, Thelma A. Sutphin; his beloved children, John (Jacquie) Sutphin, Glen (Hope) Sutphin, and Patricia Dunphy; his cherished grandchildren, Brittany Dunphy, Michael (Shelly) Dunphy, Lindsey Sutphin, Christopher Sutphin, Zachary Sutphin, Karlee Sutphin, Brandon (Amanda) Ginn, Cody (Samantha) Stapleton, Jared (Samantha) Stapleton, Ryan (Caitlin) Sutphin, and Alicia (Ryan) Reedy; his nine loving great-grandchildren; and his dear sisters, Joan Paulsen and Christy Lewis. He was predeceased by his beloved son, James A. Sutphin. The family will receive visitors at Singleton Funeral and Cremation Services, P.A., 1 2nd Ave, S.W. (at Crain Hwy), in Glen Burnie, on Friday, November 23rd, from 3-5 and 7-9 PM. A Celebration of Life Service will be held on Saturday, November 24th, at 10 AM in the funeral home chapel. Interment Crestlawn Memorial Gardens. Memorial contributions in William's name may be made to Seasons Hospice at www.seasons.org.